After the flash, glitz and glamor that governed '80s pop music, the woman who would become the next decade’s biggest act seemed anything but ready to seize the spotlight as 1990 arrived. Mariah Carey, a 20-year-old from Long Island with a well-noted case of stage fright, quietly slipped her debut album out in June of that year. But what Carey may have lacked in performing confidence she more than made up for in marketing power. With the full resources of Columbia Records behind her -- label chairman Tommy Mottola noted that Carey’s debut album was the label’s top priority the month of its release -- the world would never forget the young singer with the five-octave voice. Yet for all the hits, Mariah Carey does little in the way of introducing the world to the woman behind the seismic scales and piercing high notes. It’s much more focused on the hit-making, but to the album’s credit, it succeeded to a remarkable degree. Despite entering the charts at a modest No. 80, the set eventually spent 11 weeks atop the Billboard 200, launched four (!) No. 1 singles on the Billboard Hot 100, and set the singer up to win a best new artist Grammy. As Mariah Carey celebrates its silver anniversary, Billboard revisits the eleven-track collection that jumpstarted one of the most successful stories in pop music history. “Vision of Love”: Call it fate, destiny or marketing genius, but one of the strongest creations in Carey’s entire catalog is the first song on her debut album. From a sci-fi opening, the song morphs into a slow pop/R&B ballad as Carey starts with a near-humming “treated me kind.” The songbird then mounts an ascent in both intensity and octaves until 2:45 in, where she unleashes what has become her calling card: an effortless ride through the whistle register. But that isn’t all -- a few bars later, Carey displays the melisma technique that will, for better or worse, form the backbone of the American Idol school of singing. “Vision” kicked off Carey’s career in the best possible way: The track flew to No. 1 for a month on the Hot 100, and scored the rookie a best female pop vocal Grammy. “There’s Got to Be A Way”: The album’s second track maintains the same R&B/pop (and faintly gospel) flair that characterizes “Vision,” though the subject matter shifts from love to social activism as Carey declares, “there’s got to be a way / to connect this world today.” The track decries poverty and racism, and uses the bridge to insert an uplifting turn, but the aim for broad appeal comes at the expense of memorable lyrics. Still, Carey’s voice is in peak form, which helps smooth out some of the track’s bumps. And though most whistle register notes may sound the same, Carey deploys one of her best in this track. “I Don’t Wanna Cry”: Nineties pop had a trademark composition, and every singer -- solo or group, male or female -- had at least one anguished ballad lying in wait on the studio floor. Mariah joins the club, singing of the pain of ending a relationship: “Though I’ve given you my heart and soul, I must find a way of letting go, ‘cause baby, I don’t wanna cry.” Carey famously wasn’t a big fan of the song, but it didn’t stop the track from becoming her fourth No. 1 from the album. In other words -- a year into her career, Carey had released only No. 1 hits. 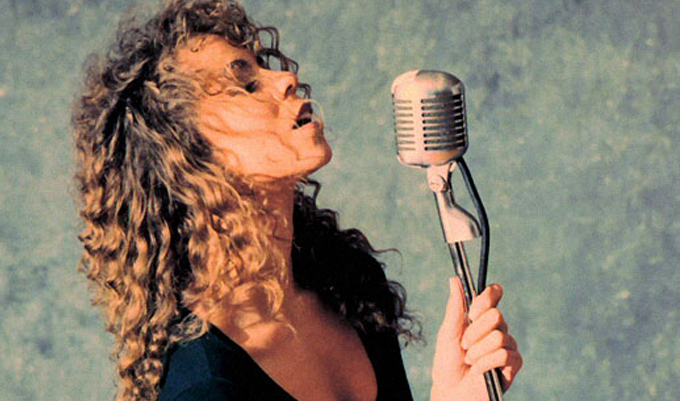 “Someday”: As the album’s first up-tempo track, “Someday” beats new life into Mariah Carey. The dance-pop track has traces of the then-dominant new jack swing feel to it, and Carey gleefully waits for karma to enact revenge on someone who dumped her, “cause I know you’ll soon discover / you’re needing me in spite of all the others.” Though some of the rhythmic arrangements -- and an electric guitar solo lighting up the bridge -- prevent the track from sounding timeless, “Someday” did its job in the moment, completing a Carey hat-trick of consecutive No. 1 singles by early 1991. “Vanishing”: After the album’s most production-heavy track yet, Carey reverses course and strips all instrumentation, save a piano, for “Vanishing.” In case listeners need a reminder that Carey possesses a world-class voice, she glides through her gritty lower register, expanded runs and extended notes, and -- you guessed it! -- a piercing high note that emerges midway through the track. “All in Your Mind”: Carey reassures a nervous lover that any plans she has to leave him are “all in your mind” on this mellow, pseudo-reggae groove. “Mind” serves as a welcome break from the serious ballads that have dominated Mariah Carey thus far, and it sets a standard that will follow Carey throughout the decade: a vocal showcase set over a series of looping choruses. For added measure, check the whistle note staccato she drops in, revealing dexterity even at the summit of vocal registers. “Alone in Love”: Carey mulls over an uninterested lover in this pop/R&B hybrid. Producer Ben Marguiles (who helped pen seven of the album’s 11 tracks) supplies a drum-centered beat, but the lyrics aren’t particularly outstanding. Like most Carey tracks, though, it hinges on the singer’s vocal performance, and Carey shows up to deliver. “Alone” isn’t by any means the album standout; rather, it takes a nice supporting role without disrupting the show. “You Need Me”: Initially, “You Need Me” feels like a cousin to “Someday,” as both up-tempo songs warn lovers not to write Carey off too quickly (“When there’s nobody to hold your hand / Suddenly you’re gonna understand”). But throw in some guitar riffs and pepper Carey’s crystal voice with grunts and growls, and the track evokes the edge that launched Janet Jackson to stardom in the '80s. Matching its blunt title, “Need” reveals an edge to Carey’s personality that previous tracks missed. “Prisoner”: Little known fact: long before the “Fantasy” remix with ODB and Butterfly, Carey dabbled with hip-hop… to mixed results. Carey earns her pop female star status with the era’s rite of passage – the spoken rap section (the song actually contains two). It’s worth a listen just to hear Mariah rap. Luckily, Carey does sing on the track, and she skates through the polished track. “Love Takes Time”: “It was a song that was actually enough to stop the pressing,” co-writer Ben Margulies recalled of the album’s closing ballad. Mariah Carey had already been completed and prepped for mastering when “Loves Takes Time” arrived, but Columbia Records -- feeling the song was a sure smash -- decided to tack it on despite Carey’s objections to hold the track for her sophomore album. A story of heartbreak and regret, Carey comes to terms with her lingering feelings in “Love Takes Time.” Grappling with saying goodbye to a former lover, Carey sings, “I had it all, but I let it slip away,” belting this soul-bearing retrospective with a piercing vulnerability. In just three days, the track was mixed, mastered, and ready to be heard. Carey may have lost the battle over “Time,” but she can’t be too upset with the result: the single became her second straight No. 1 on the Hot 100.